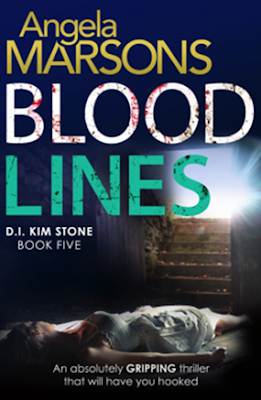 Blood Lines is book number five in Angela Marson's D.I. Kim Stone series and the books just continue to keep on getting better. So Kim Stone is back and facing a woman, an enemy she is determined not to let get to her again. But Dr. Alexandra Thorne is a very determined woman - a sociopath with a grudge to bear. When a woman's body is found with a distinctive stab wound, at first it appears to be a simple car jacking, but on closer inspection, the woman's belongings, and the car itself are still there and still pretty much in tact. When another body throws up similarities, Kim and her team must decide if the murders are connected or not. At first glance it appears that the victims backgrounds are very different, and a handsome kitchen fitter is all they have in common. Blood Lines is another gripping novel by Angela Marsons, and Kim Stone just keeps getting better as a character - roll on book number Six!! Blood Line is available to buy now via Amazon online and all good book shops.